February 18, 2014, 1:44 p.m.
Only 13% of Americans declare themselves superstitious, but more than one third of all people think picking up a penny is good luck. 2014 has just one Friday the 13th this year (June 13th), which is actually relatively rare. 2012 had three, 2013 had two, and 2015 will also have three. Friday the 13th is doused in an unlucky connotation, though no one knows exactly why, though it has been linked to Christian, Norse, and Egyptian mythology. These lucky and unlucky customs get passed down to us through our family or cultural influences, and though we may consider ourselves rational and logical people, oftentimes we will still go through the motions to avoid misfortune. 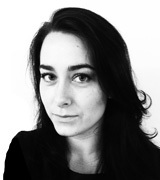 According to the latest YouGov research, older people report that they are less superstitious than younger people, and are more certain in their lack of superstition. 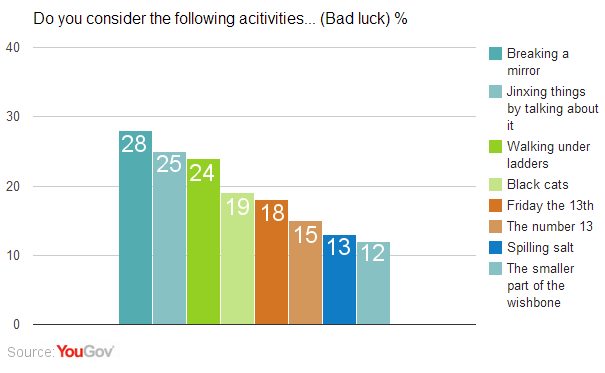 Young people, ages 18-29, are the most likely to consider themselves superstitious (18%), and nearly two in five (37%) say "it depends". 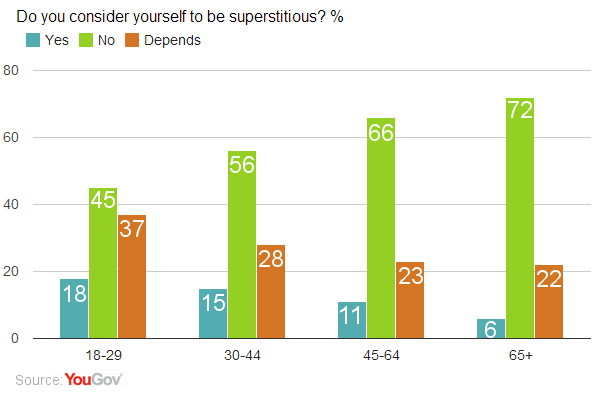 A majority in every other age group say that they are not superstitious. Though only 13% percent of the population admits to being superstitious, many Americans (35%) consider picking up a penny to be good luck nonetheless. There is even a common phrase, "Spy a penny, pick it up... all day long you&apos;ll have good luck!" Aside from fortuitous pennies, 30% of people also consider knocking on wood to be good luck. Knocking on wood usually occurs after talking about a future activity that they do not want to jinx. More than 13% of people also consider crossing your fingers, getting the larger part of a cracked wishbone, and throwing spilled salt over ones shoulder to be good luck. On the flip side, 28% of people consider breaking a mirror bad luck (it&apos;s been said it brings 7 years of misfortune, specifically). 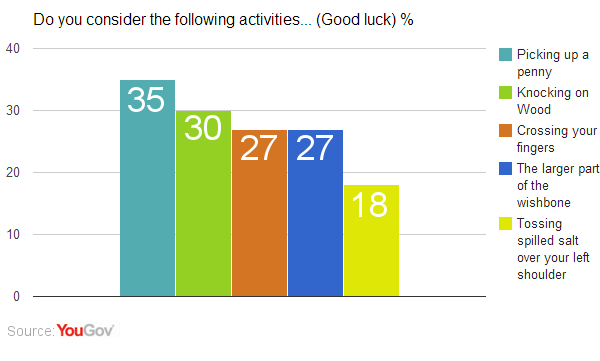 A quarter of people (25%) think that you can jinx something by talking about it. There are many other &apos;luck&apos; traditions that have found their way into becoming normal behaviors, such as not seeing the bride in her wedding dress before the wedding and not opening an umbrella inside. Join YouGov today! Your views can shape the news..